Angel started his career in the arts at a young age when he began to study acting and musical theater. It wasn’t until his senior year in high school, at the age of 18, that he started dancing. His training started at the South Mountain High School dance magnet program. 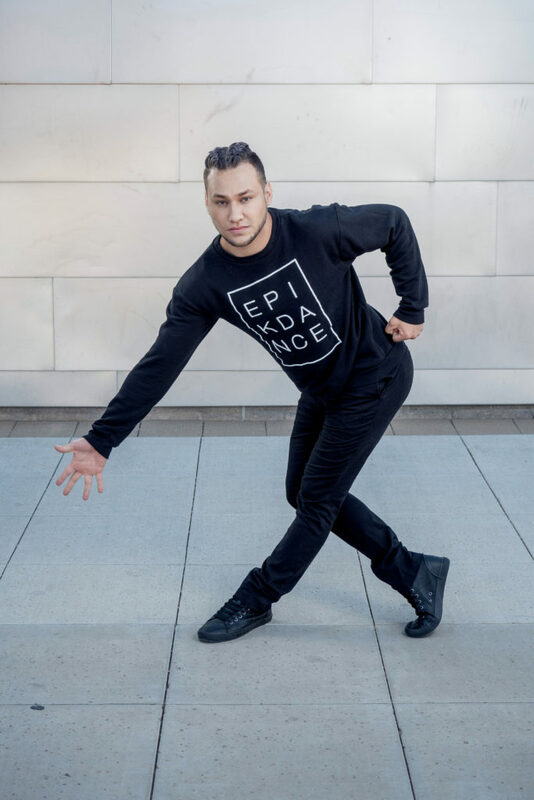 Upon graduating in 2008, he auditioned and was admitted to the ASU School of Dance where in 2012, he graduated with honors and a BFA in Dance. Angel has performed professionally with the WNBA Phoenix Mercury Hip Hop Squad and the NBA Phoenix Suns Solar Squad for two seasons. He is currently dancing professionally with EPIK Dance Company, Scorpius Dance Theatre, and is the choreographer and artistic director for his own company HALO Movement Collective.